Many commercial buildings such as schools and restaurants require suitable Panic Hardware in order to adhere to health and safety regulations. Our range of products are guaranteed to provide a safe and practical method to exit buildings, ensuring optimum levels of efficiency during crisis situations. We have a selection of Single Panic Bolt designs, which operate on either push pads or single bolts. Our models are made from high quality materials such as stainless steel and adopt bold wording to ensure people are clear about how the pad or bolt operates. For twin doorways, we have a similar range of products that have been modified specifically for larger hardware. Having a Double Panic Bolt ensures you have provided any wide doorways with an easy method to exit buildings quickly. This is ideal for incidents that require a large number of individuals to leave at the same time. 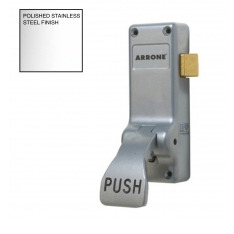 All of our Panic Latches have been designed for a durable and long-lasting finish. We have models made from gold, silver, and brass, to provide both solidity and radiance for any doorway. 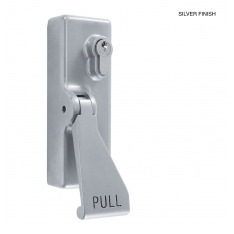 Some examples include the Gold Single Panic Latch and the Satin Stainless Steel Single Panic Latch. 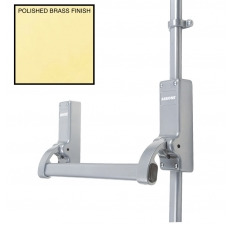 For a neat and compact piece of panic hardware, we have a selection of Push Pad models. These designs require a simple push to operate, meaning the amount of space available on your door won’t be compromised. 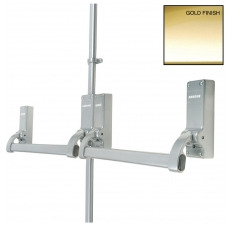 Each design is made from high quality materials such as brass and stainless steel. 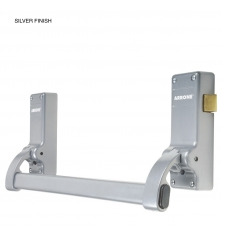 To lock any doorway, we have a range of Locking Attachments. This is especially prevalent for buildings which oversee long durations of time in which certain rooms are inhabited. Having a solid locking mechanism will deter the possibility of intrusion and ensure valuable items are stored safely.